Use a flat-bladed tool to remove the cover. Do Not remove the cylinder screw completely from the housing. unscrew the screw to a hard stop, remove the cylinder. Remove the lock cylinder cover. 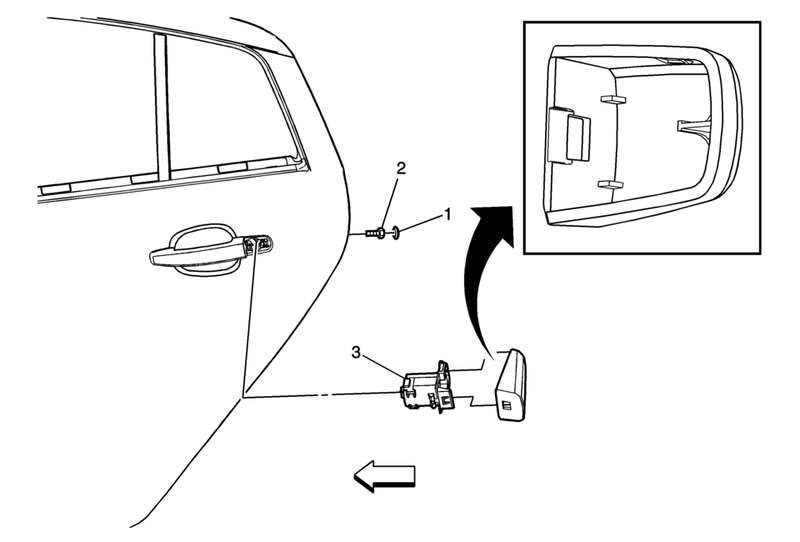 Refer to Rear Side Door Lock Cylinder Opening Cover Replacement.